How many times have you been to an event or wedding reception where alcohol was served and wondered whether you were safe to drive? 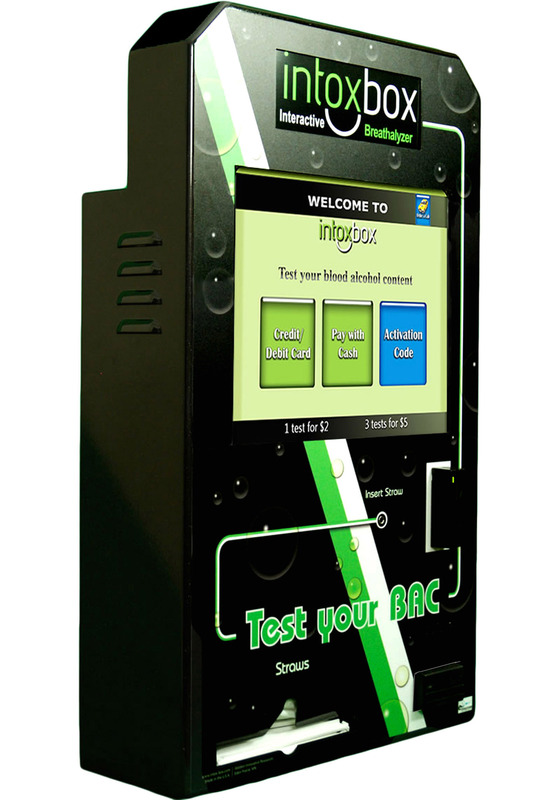 With an IntoxBox Breathalyzer Kiosk at your reception guests can monitor their alcohol level and make an informed decision on their ability to drive safely. Elaine Koyama, mother of a bride at a recent wedding said, “We had an IntoxBox at my daughter’s wedding and it ALMOST stole the show! We had great fun and it played a practical and safety role for our guests--one couple decided to walk to their hotel instead of drive. My sister-in-law is planning a wedding for next summer and she is already asking how she can have an IntoxBox at their reception."